Did the Polls Fail in 2016? And What That Means for 2017 ... with guest speaker G. Evans Witt. Join ASPA NCAC in welcoming our next guest speaker to talk about the impact and relations of public opinion, polling, and the intersection with public administration. Witt will be talking about the polls in 2016, their successes and failures and what that means for the use of data in this increasingly fact-free environment. Click here for a downloadable event flyer (pdf). G. Evans Witt is CEO and principal of Princeton Survey Research Associates International, an independent research firm that specializes in studies of opinion, policy and the news in the United States and around the world. In more than 18 years at PSRAI, he has led the company in the design and execution of ground-breaking research designs on topics ranging from the impact of the internet to sensitive surveys of the public reaction to the Sept. 11, 2001, attacks. 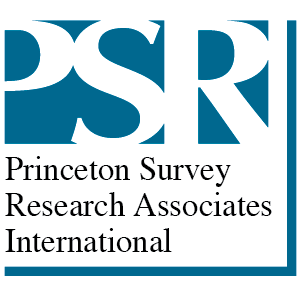 He has played a major role as PSRAI has led the way in designing and executing surveys on cell phones. He is a long-time consultant to NBC News and sits on the NBC decision desk each election night. He is the president of the National Council on Public Polls. Starting in 1998, he worked with Americans Discuss Social Security, a group dedicated to fixing the Social Security, for a series of polls that served to direct their public efforts and to provide information for the policy makers. He worked with Public Agenda on a variety of their public engagement efforts. And he has worked major public universities in the marketing and message testing surveys. Witt has specialized in surveys on public policy and politics for more than thirty-five years. In a 22‑year career with The Associated Press, he helped lead the wire service in the use of public opinion polls and social science research methods. He was a co-founder of the AP/NBC News Poll in 1977. He was a national political writer, director of election planning and assistant chief of the AP Washington bureau. In 1996, Witt directed the creation of two award‑winning political Web sites, ElectionLine and PoliticsNow, for ABC News, The Washington Post and National Journal. He was executive director of Voter News Service from 1997 through 1998. A Morehead Scholar and graduate of the University of North Carolina at Chapel Hill, Witt was a National Endowment for Humanities Fellow at Stanford University in 1981‑82. Witt is the co-author, along with Sheldon Gawiser, of A Journalist’s Guide to Public Opinion Polls from Praeger Press, and of Twenty Questions A Journalist Should Ask About Poll Results, from the National Council on Public Polls. He has written numerous articles on public opinion and lectured widely on the use of polls by the news media.